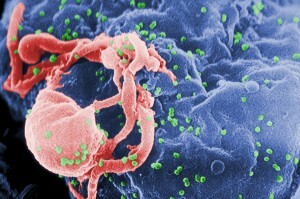 Evolution: 1, Humans: 0 – HIV Virus has evolved to evade latest gene-editing treatments. The Human Immunodeficiency Virus (HIV) is notorious for its rapid evolution and elusiveness to our treatments. Our latest attempt to beat it has been foiled, yet again. As explained in this article, researchers have attempted to eliminate the virus through a genome editing technique called CRISPR-Cas9. This technique allows scientists to target a specific genetic sequence in a cell to cut, using the Cas9 enzyme and a guiding sequence, and change the function of the gene by inserting corrected/modified sequences. The research looks promising, but will this be our golden ticket? Love and happiness really do come from the bottom of your… gut? Researchers at the California Institute of Technology (Caltech) sought to identify a link between the gut microbiome and the production of the serotonin neurotransmitter. Peripherally made serotonin is already understood as a product of the digestive tract, however, is there a link between the myriad of bacteria that compose our gut microbiomes and the neurotransmitter? What they found, was surprising; notwithstanding the known communicative link between the nervous system and the microbiome, the researchers found that the microbiome is not directly responsible for most of the production of the neurotransmitter. The bacteria interact and stimulate the production of serotonin by the intestinal cells. To arrive at this conclusion, the researchers studied the effects of “germ-free” mice. They found that the mice that exhibited a dearth of flora within. Experimental results indicated that the mice produced around 60% less serotonin than mice with normal gut microbiomes. The experiments also demonstrated an interesting result that may lead to future studies on the serotonin deficiency treatments–the researchers found that when augmenting the gut microbiomes with bacteria responsible with serotonin production stimulation, the levels of the neurotransmitter increased. Of course, the subject is vastly complicated, and will therefore require extensive research to more fully understand. According to a recent article, oncological research has been a recent area of vast development. 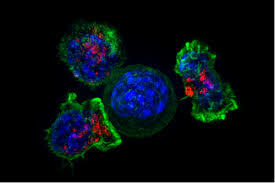 Cancer is a widespread form of disease that affects different areas uniquely and operates very subjectively. On a basic level, cancer is the uncontrolled growth and division of a cell. This often yields a malignant tumor which can metastasize to other areas of the body. When a tumor metastasizes and spreads beyond the primary site to other organs of the body, the cancer is considered to be Stage IV. This is the most aggressive stage of cancer development and is often the most difficult to treat. The new treatment revealed by Cornell University Engineers seeks to inhibit a tumor’s ability to metastasize. The paper explained the new approach in “annihilating” the tumors before they progress to a metastatic stage. The key to this is not actually killing the cell, rather, inducing apoptosis of the cancerous cell. Without the jargon, it means that the new treatment will not explicitly kill the cell, instead it will cause the cell to kill itself. The engineers accomplished this in model organism trials using mice. The procedure involves injecting specialized liposomes in the lymph nodes, which commonly play a key role in metastasis. The lymph nodes are parts of the lymphatic system where lymphocytes are formed. Lymphocytes are known as “killer cells” because they are a form of leukocytes (white blood cells). The injection contains liposomes (membranous sacs of water) with a special “Tumor necrosis factor Related Apoptosis-Inducing Ligand” protein. These will attach to the lymphocytes and target the cancerous cells, and effectively eliminate the tumor before it metastasizes. The paper also references previous work by the engineering group where they created a similar approach for eliminating bloodstream metastases in January 2014. This coupled with a lymphatic treatment can greatly reduce the rate of metastasis in patients with aggressive malignant tumors. Recent developments in oncological treatments have suggested promising developments in the way of cancer treatments–and cures. 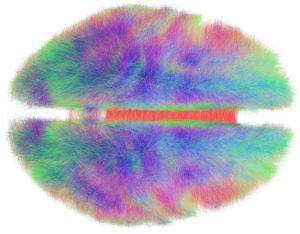 Google Maps… But for your BRAIN? 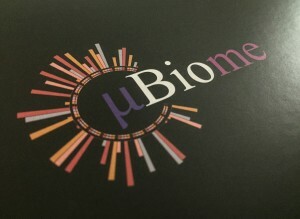 The Human Connectome Project began in 2009 and has been organized into two consortiums by the National Institute of Health: The Washington University in St. Louis – University Minnesota consortium and the Harvard University/Massachusetts General Hospital – UCLA consortium. The goal is to compile massive amounts of data on the healthy adult brain and map it down to the neuron– just like Google has mapped (nearly) every road in the US. Additionally, the project seeks to facilitate research into brain disorders such as dyslexia, autism, Alzheimer’s disease, and schizophrenia through developing more advanced neuroimaging platforms and creating a wealth of information to study the effects of these neurological disorders and diseases, insofar as how they function and change the interaction of the brain–similar to how you would take use the navigation functions in your GPS. Similar to the Human Connectome Project endeavor to map the brain, a “citizen-science” platform for brain mapping, Eyewire, seeks to map the brain by providing the fMRI scans of the brain and allowing users to build the 3 dimensional structure of a section of a single neuron. This program is a fun online game that actually contributes to science, in that users can map sections of the brain, and be checked by the computer. This allows for error mitigation, where the computer model may be erroneous, and corrected by the many users mapping the neuron at a time. The link can be found here, as well as below. The Human Connectome Project and the Eyewire mapping game are both revolutionary research projects studying the amazingly intricate brain neuronal structure and networks, with very promising results in the near future.